The GPG is a learning resource for applied geophysics and its applications to help solve problems of relevance to society including those in resource exploration, environmental applications, and geotechnical projects. Geophysical surveys and data are sensitive to physical property variations in the subsurface. These variations can be diagnostic for finding resources, tracking contamination or mapping geologic units. 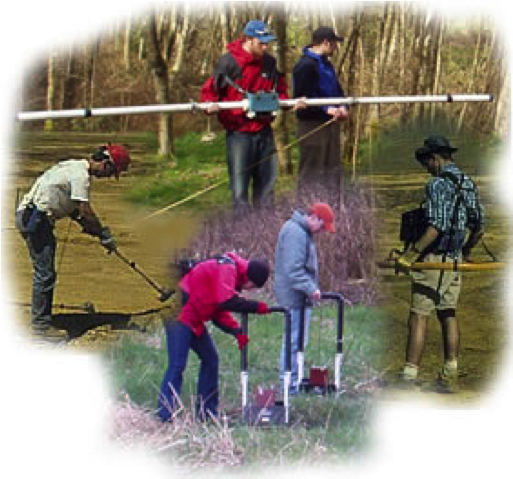 Application of a geophysical technique to help answer a geoscientific question requires that targeted physical properties be identified and appropriate geophysical surveys, processing and interpretation be carried out. The application of geophysics is consolidated into a Seven Step procedure that serves as a guiding template in every problem. In the GPG we discuss the physical principles for each type of survey and carry through with applications. The focus is on environmental, resource exploration and geotechnical problems but the concepts span a broad range of applications. The GPG is meant to be a resource for geoscientists, including those who are not specialists in geophysics, in particular geological engineers, geologists, and undergraduate geophysicists. The GPG is light on mathematical development but links to deeper levels of analysis are provided. 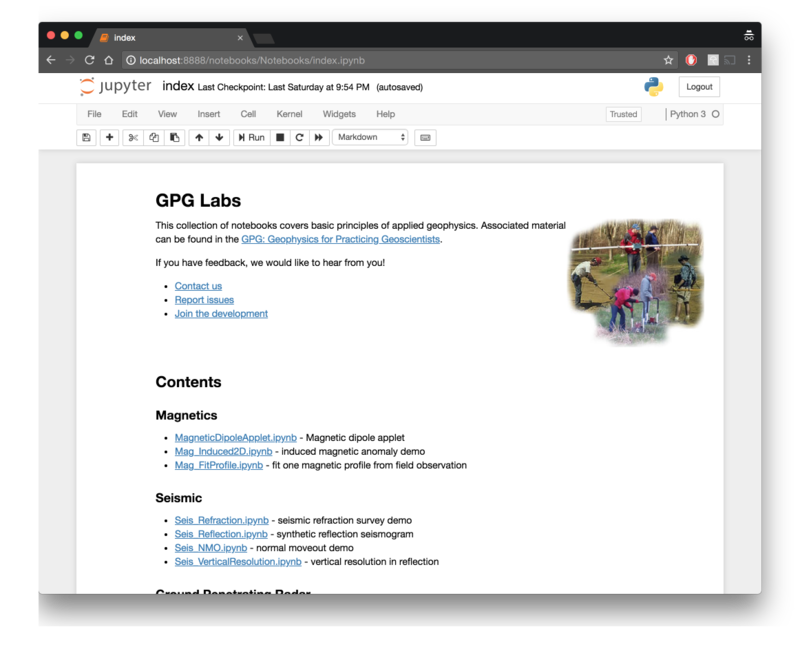 To ease readers’ understanding in applied geophysics and its applocations, materials in GPG are integrated with the Jupyter apps. We strongly promote readers to use both text materials in GPG and apps together. By clicking below binder badge will show you list of the apps, and there you can run the app. Development of the GPG is ongoing, with the core development team consisting of researchers and students at the University of British Columbia. We welcome input and collaborators! Join the development on github. Have comments or suggestions? Submit feedback here.